Fascinated with all things wild, from exotic wood textures to the delicate silhouettes of butterflies, the intriguing Euphoria screen captures the mystic and seduction that lies behind the wings of a luxurious butterfly. Four panels intricately detailed with brass butterflies serving as hinges and accents throughout the screen. 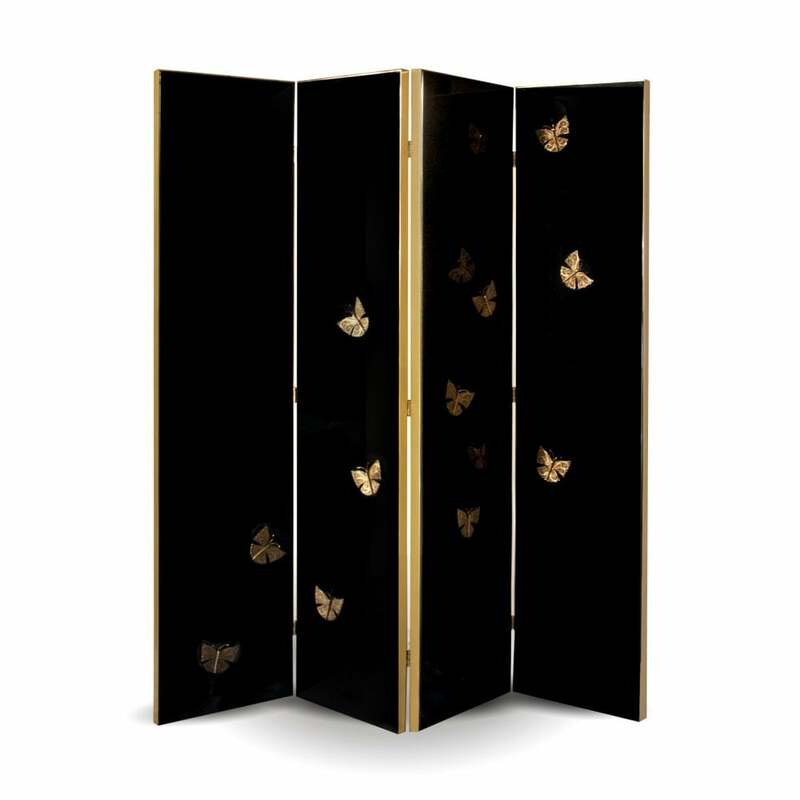 Panels: Available in ebony veneer or high gloss black lacquer adorned with brass butterflies.